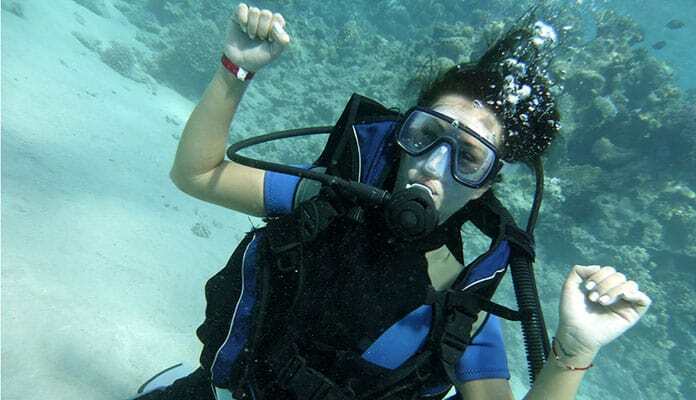 Scuba diving is an addictive sport that you will quickly fall in love with. You will want to invest in your own gear, including your own dive regulator. When making the investment we recommend opting for the best diving regulator on the market. This will give you peace of mind that your regulator will perform as needed and keep you safe under water for many years to come. 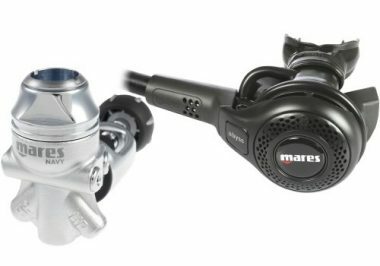 We know how important it is to get the best scuba regulator so we have compiled a list of our favorites on the market. This is the best scuba regulator for those who dive in any water, no matter how cold. When diving in cold water it is equipped with cold water insulation which keeps the machine safe. An adjustable inhalation effort allows this regulator to give you, the diver, even more control. A swiveling first stage allows you to easily breathe through this regulator no matter the position. 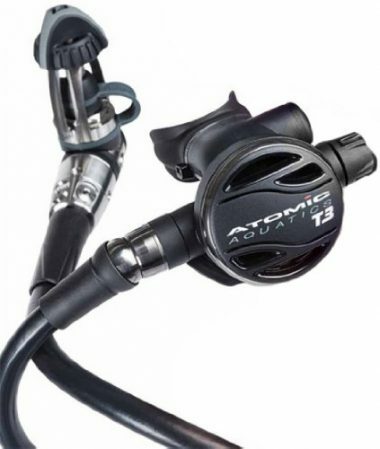 Scuba regulator reviews are raving about this scuba regulator claiming it is the best regulator for your money. Second stage air balanced valve. 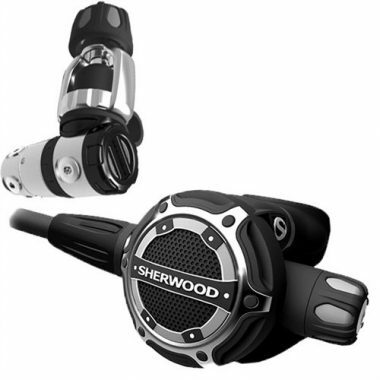 The is one of the best scuba regulators for scuba diving go, Sherwood has created yet another incredible product. 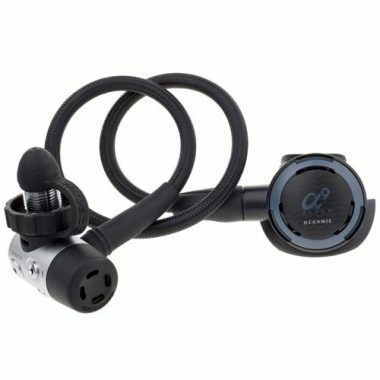 The first stage of this regulator swivels 360 degrees to give you an easy to use feeling. This regulator is 40% nitrox compatible. A sealed dry spring chamber greatly extends the lifespan of this regulator as it does not allow water to flow through the first stage keeping it safe from salt and contaminants. 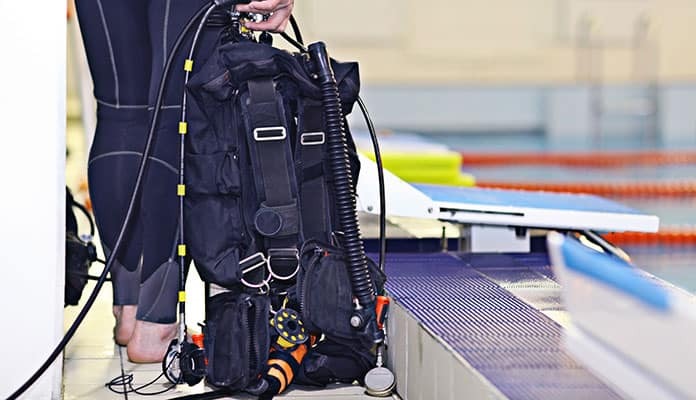 Coming equipped with five low pressure and two high pressure ports give you lots of options to attach accessories, such as a dive computer, to your gear. This is the best dive regulator is built to withstand extreme temperatures. With CWD technology in the first stage your regulator is better protected by keeping water further away from the internal cavity. A metal second stage holds up better in the colder water while a mesh cover reduces the pressure flowing. 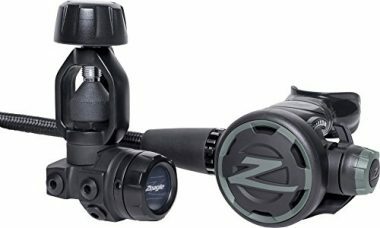 Coming in either a Yoke or DIN configuration the Zeagle F8 regulator will fit perfectly into your diving setup. Being completely sealed allows you to dive up to nearly 200 feet without issue. This regulator is made of high quality material that will stand the test of time allowing you to focus on your dive not repairing your gear. A balanced design won’t allow your depth or air level affect your breathing giving you a flawless stream of precious air. Coming in at a mere 3.4 pounds this is a lightweight system that won’t put strain on your mouth or neck. The mouthpiece is easy to grip without much effort giving you hours of carefree diving. This Atomic setup comes with a full manufacturer’s limited lifetime warranty. A material list that includes titanium in combination with the warranty ensures your regulator will be as ready to dive as you are. A sealed system allows you to go to depths you never thought possible while not allowing any freezing throughout the system. The large adjustment knob gives you complete control of the flow even with gloves on. Technology in this regulator makes it easier to breath without struggle or worry of airflow making this one of the best dive regulators on the market. The Apeks Flight dive regulator is a perfect beginner’s setup. 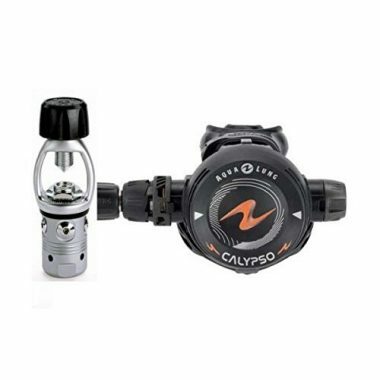 Designed for a warmer climate this regulator fits perfectly for water 10 degrees celsius or more. It has gone through stringent tests that have given this set up an impressive reputation of excellence. Made of composite materials ensure it won’t be affected by harsh saltwater environments. Bring this regulator with you wherever you go as it is easily transported with its small size and weight. Cressi has been designing diving equipment since 1946 giving them the experience and technology to create high quality gear. The AC2/XS2 regulator is made in Italy with lightweight, highly durable material. Coming in at 3.4 pounds this regulator makes it feel like you’re not even wearing one. You would expect sacrifices for such an inexpensive rig but there is none. In fact, it compares to regulators in the $800 to a thousand dollar range. The Hollis DC7 look like a sophisticated setup. A high build quality with materials that will stand up to the harsh saltwater environment ensure you will be able to dive in any water conditions. The sealed system gives you peace of mind of not having your lines freeze or restrict your air stream. A universal mounting system gives you the freedom to use any configuration you please. Let this rig impress you with its easy to hold mouthpiece. This regulator features a unique sealed, balanced first stage with an unbalanced second stage which gives this regulator a smooth and effortless downstream inhalation. An orthopedic mouthpiece allows this regulator to sit comfortably in your mouth without fatigue. This dive regulator is only recommended for use in warm water. An excellent choice for beginners and incredibly affordable choice, this is a great buy for any tropical diver. The compact design of this regulators makes it easy to use and easy to clean. 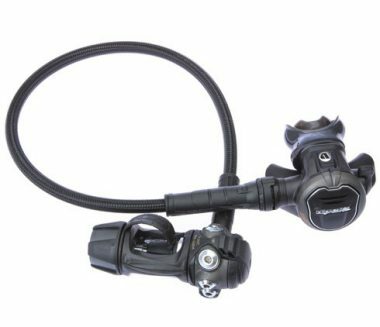 Without all the bells and whistles, this regulator works well for new divers or those on a budget. Now that you can identify the different areas within your scuba regulator, let’s dig a bit deeper into how to choose the right scuba regulator for you. This is where you take the time to figure out what kind of diving you enjoy the most. You should ask yourself questions such as whether or not you plan to frequent warm waters or cooler waters. Are you likely to dive in open waters or would you rather a more adventurous dive through shipwrecks and caves. If you answered tropical destinations to the first question any travel regulator will work for you. But if you want the challenge that cold water dives offer you may need a more robust option when it comes to scuba regulators. These essentially describe the build quality of the scuba regulator. Sealed regulators will incorporate gaskets and technology that keeps your air from being blocked or freezing in extreme conditions. These systems are also more durable than their unsealed counterparts. They won’t let the saltwater or debris like sand to enter and corrode the inner workings. Unsealed regulators are a less expensive option when compared to sealed ones. They are used by dive shops in warmer climates where they don’t have to worry about cold temperatures. You will want a balanced regulator. They provide you with an even flow of air no matter how much you have left in your tank or how deep of water you’re in. You will instantly notice the difference of an unbalanced regulator. Your breathing will become labored the deeper you dive and when you’re running low on air. Obviously, this is not what you want when deep underwater. For this reason we suggest only looking at balanced regulators. The first stage of your scuba regulator van have two different construction types. The Piston construction is more simple and known to be more reliable. While this is more expensive, its reliability makes it ideal for those traveling into deeper waters or who are cave diving. The Diaphragm is much cheaper but less reliable. This is more frequently found in dive shop rentals as it is the ideal choice for recreational divers. There are two different types of valves on a scuba regulator. A YOKE, also known as an A-clamp, is one in which in the scuba regulator screws over the tank. This is the most common type of valve as it is incredibly user friendly with its ease of application. The DIN regulator on the other hand screws directly into the tank. This type of valve provides a stronger seal and is more commonly used in colder waters. When in doubt remember the phrase “din goes in”. If you are someone who frequents many different waters from the warm tropics to cooler waters, you will want to opt for a DIN system. This is because you can get a Yoke valve adapter for your DIN system making it more versatile. Your dve regulator will likely be equipped with a minimum of 4 low pressure ports as well as 1 or 2 high pressure ports. As a general rule, the more ports that you have, the easier it will be to set up all of your scuba gear. Dive computers that have transmitters require at least 2 high pressure ports. Ensuring that your scuba regulator is comfortable and has a proper fit is incredibly important. You have limited time under the water so ensuring that your gear is comfortable is incredibly important. 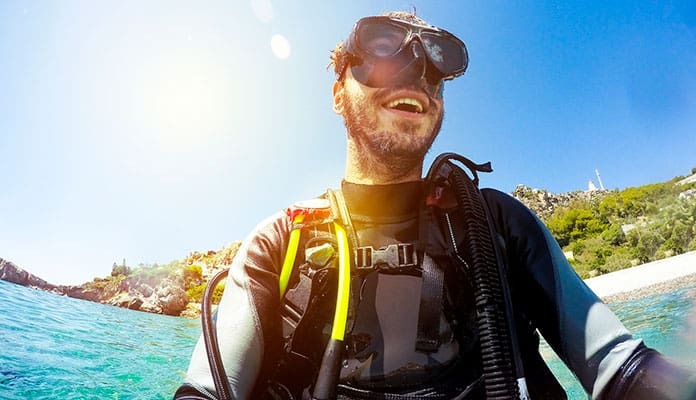 Be sure that you buy a scuba regulator that doesn’t require a firm bite in order to keep in place. This will quickly cause jaw fatigue that will be uncomfortable during longer dives. You will also want to pay attention to the length of the hose. A hose that is too short may restrict your movement under the water. When in the water, you will want to opt for a scuba regulator that doesn’t blow bubbles directly in your face everytime you exhale. 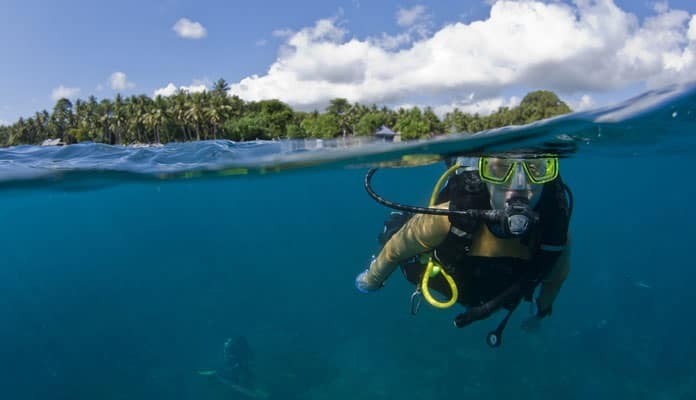 This can restrict your visibility and reduce the enjoyment during your dive. You will also want to take into account how noisy the regulator is. Some dive regulators can be quite a bit lower while breathing than others. These features should not make or break a purchase as most can be replaced with accessories if needed. Scuba regulators work to regulate airflow when you are underwater. This is your life support system while underwater providing much needed oxygen for you during your dive. Five different parts make up this vital piece of scuba equipment. Understanding the different parts will help you in purchasing and maintaining your scuba regulator. This is the primary connector that connects to your scuba tank. This acts as the first stage of reducing the pressure in the tank to a lower intermediate pressure. This is the first reduction in air pressure. This is the stage located at the mouthpiece. In this stage the intermediate air pressure is again reduced to an ambient pressure that is equivalent to the pressure surrounding the diver. This makes it safe to be inhaled. Also known as the octopus this is an alternative air source that works just as the primary second stage. This is a crucial piece of equipment that functions in the case of emergency. This is also important in the event of sharing with a buddy. These usually have a bright color to help them be easily identified. This piece of gear will measure how much air you have in your scuba tank. Knowing this crucial piece of information will help you gauge how much time you have under the water. The Submersible Pressure Gauge (SPG) is used with the first stage and is connected with a high pressure line. Some systems use a gauge console which gives you an even more accurate readout of your air remaining. This is the line that connects to your Buoyancy Compensator (BC) which allows you to inflate and deflate your vest. 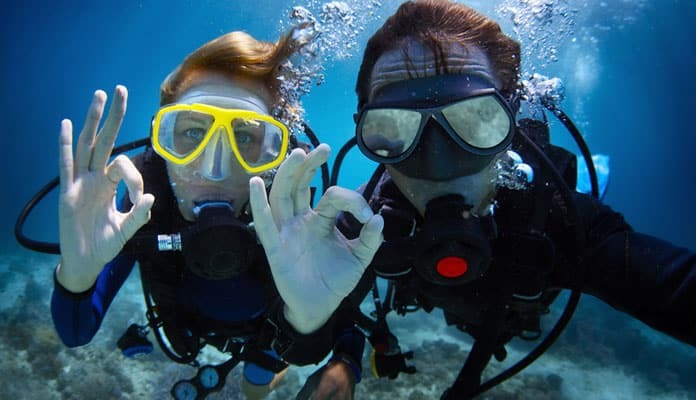 When buying your scuba gear it is important to get the best on the market. These are expensive purchases so buying the best will ensure you only have to buy one. Scuba diving regulator reviews talk about the importance of determining your water temperature before you buy your new regulator. 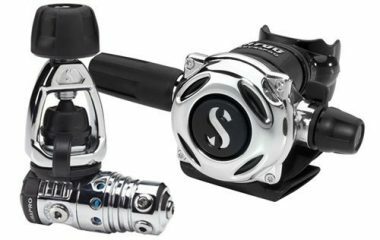 When looking for the best scuba regulator for the money, be sure to look for these features. This is the first thing that should be considered as it will determine whether you buy a sealed or unsealed regulator. Warmer waters allow you to use any type of regulator while colder water restrict you to the more expensive sealed regulators. Unsealed regulators allow water to move through the regulator and get into the first stage of the regulator. This is fine when used in warmer water and will not harm your regulator. If you plan to dive any or all of your dive through colder water, you will need to get a sealed regulator. Water with lower temperatures increases the risk of the water freezing in the regulator. Not only will this run the risk of harming your scuba regulator but it will also block air flow and can make it so that you cannot breathe under the water. While sealed regulators are more expensive they extend the lifespan of your machinery as they also do not let the salt in the water and other sediments to settle in your scuba regulator. Sealed regulators work in all environmental conditions whether diving in cold or warm water. 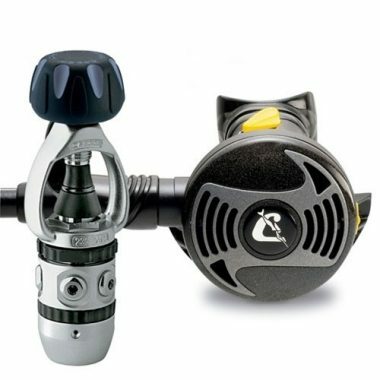 If you are looking for a deep depth scuba regulator it is imperative that you search for a balanced rig. An unbalanced regulator will get harder to breathe from when there is less air in the tank or you are at depth. A balanced scuba regulator will give you an even and steady stream of air no matter the air level or how deep you dive making this the best option. 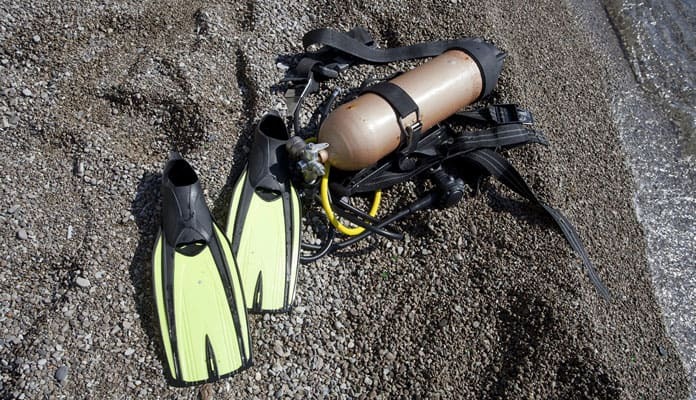 They usually cost more money but are worth it especially if you are serious about diving. Every dive setup will have ports that allow you to attach it to your tank. If you are just starting out you may not need all the fancy ports but are a nice feature that allow you to grow into your setup. Most come with at least 4 low pressure ports and 1 or 2 high pressure ports. If you use, or are considering using, a dive computer you will want to get one with at least 2 high pressure points as that is what the system will require. There are different fittings that will attach your scuba regulator to the tank. A DIN valve is a method when the dive regulator is screwed straight to the tank. This is a less used method but is very strong. It is most used by cold water divers as it is incredibly durable. You can buy an adapter with this system which will allow you to use the DIN regulator on a Yoke valve tank. A yoke valve, often called an A-clamp, is the most common type of valve. It screws the regulator over top the tank, a much easier process than with the DIN. You will not enjoy your time underwater if you are uncomfortable or have to fight to keep your scuba regulator in your mouth. There are many things you should consider in regards to making your setup as comfortable as possible. How difficult it is to keep it in your mouth is a key factor. If the scuba regulator is too heavy it will want to fall out which can distract you from every aspect of your dive. Another thing to consider is where the bubbles are expelled. If they are blown into your face you won’t be able to see clearly and could end up in a dangerous situation. Lastly, make sure the hoses are long enough for your head to turn and move freely. If they are too short they could restrict your breathing and movement making it awkward under the water. As with much of the scuba gear on the market, it is expensive and delicate. You will want it to last you as long as possible which means you will need to take care of it. Doing so isn’t time-consuming but can greatly extend your gears lifespan. Firstly, we recommend rinsing your regulator with warm fresh water to wash away the salt. No need to soak, just a quick rinse will do here. Wait for your travel regulator to completely dry out before storing away from sunlight. Q: How will I mount my travel regulator? A: There are two ways you can mount your regulator to your tank. A DIN system is where the regulator screws into the valve attached to your tank. Since the connection doesn’t use anything in between DIN systems are more reliable. With that being said, they are typically found in European dive sites. Yokes type mounts are essentially an A clamp that mounts on top of the valve on the tank. These systems is predominantly found in North America and is generally the more popular style. There are also DIN to Yoke adapters if you decide on one and run into different tank setups. Q: What to consider when choosing a regulator? A: There is actually a lot to consider when deciding on a regulator. It is the part of your gear that all the air you breathe will flow through. This means that you will have to trust it with your life. We are happy to say that regulators have seen lots of refinement over the years and work the way you expect them to. There are many brands to choose from so you know this piece of gear faces steep competition. Q: What’s the temperature of the water? A: You will either be diving in a tropical destination or a colder water dive. There doesn’t seem to be an in between when it comes to water temperature. Warm water dives are essentially ideal conditions. On these dives, you may not even have to wear a drysuit. They give you a true sense of the underwater world without feeling disconnected while wearing a wetsuit. But that’s not to say that cold water dives don’t have a lot to offer. These are dives in water around 50°F (10°C). They will require more attention and have been described as more technical dives. Cold dives can use special regulators that are specially designed for the environment. Q: What performance and breathing resistance do I need? A: Most of the time the choices are pretty close in terms of performance. Some options allow you to control your airflow in real time when underwater. When it comes to breathing resistance there is a clear winner: the balanced system. This type of regulator won’t make it harder for you to breath at depth. You will generally only see unbalanced regulators used in shallow situations. They lose their appeal in any sort of deeper dives. On top of that, they work best in warmer waters as well. We don’t like unbalanced regulators as they don’t offer anything. In fact, they make it harder to breathe while underwater – something nobody wants. If you are a more advanced diver you may want to be able to adjust your airflow. This is where a diver adjustable regulator is used. 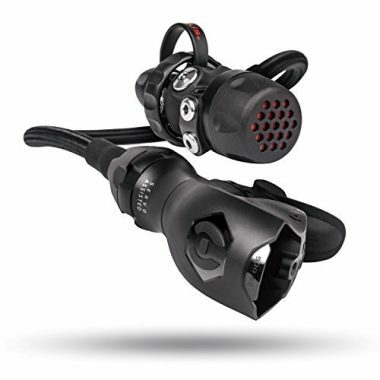 A Venturi Switch will enhance your breathing while underwater. It is adjusted by an easy to use adjustment knob which allows you to have complete control over your breaths. Q: Where will you be doing most of your diving? A: You should also determine where you’ll be using your dive regulators. If you plan on diving locally close to home you should plan your gear with what your local shops offer. For example, if they have Yoke systems your regulator should match with that. If you plan on diving abroad you may want to look into what system they offer so that your gear is compatible. There are also lightweight options you can choose from which will make traveling with your gear easy. Q: How to service scuba gear? A: You can easily care and maintain your mask and snorkel. For your other gear including regulator and primary and secondary stages, you will want to take it to your local dive shop for service. You can learn how to do it yourself but since they are so technical you will want to get a professional to do it. These are pieces of gear that you will be trusting your life with and don’t want to tinker with unless you know exactly what you’re doing. 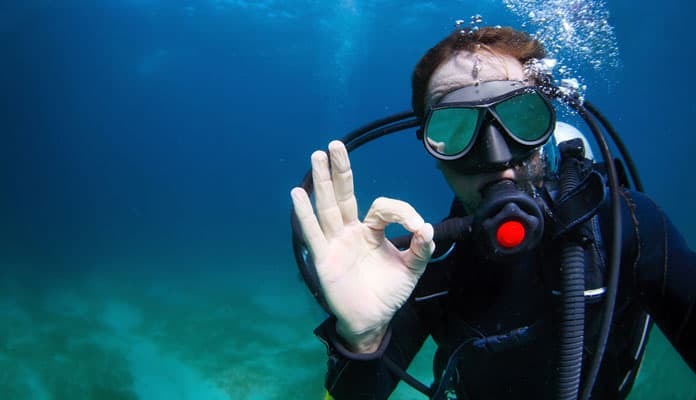 Breathing underwater is the most important factor to your safety when diving. Begin with determining the temperature of the water you are diving in and whether you should be getting a sealed or unsealed regulator. Having the top scuba regulators will ensure that you can dive safely with peace of mind. Do you have a dive regulator on our list? Let us know how it works for you in the comment section below.